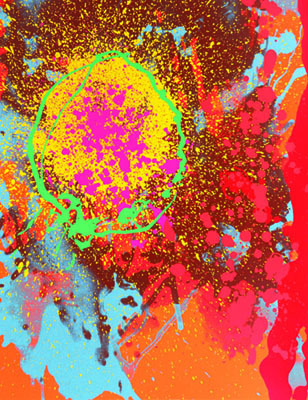 A painter and printmaker of prodigious creative energy and imagination, John Hoyland, who died in 2011 is widely recognised as one of the greatest abstract artists of his time. "Non-figurative imagery possessed for me," he wrote, "the potential for the most advanced depth of feeling and meaning." 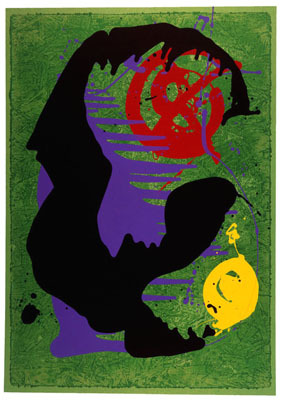 John Hoyland RA (12 October 1934 – 31 July 2011) was one of the country's leading abstract artists. He was born in Sheffield, Yorkshire, and educated at Leighton Park School, before going onto study at Sheffield School of Art, Psalter Lane, and the Royal Academy Schools. He was elected to the Royal Academy in 1991 and was appointed Professor of the Royal Academy Schools in 1999. The National Portrait Gallery holds portraits of the artist in its collection.